Sheriff Boone Taylor has two kids he adores, his job, a run-down but decent ranch, two faithful dogs and a good horse. 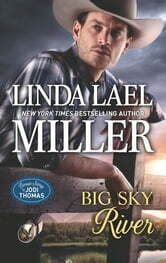 He doesn’t want romance—the widowed Montanan has loved and lost enough for a lifetime. But when a city woman buys the spread next door, Boone’s peace and quiet are in serious jeopardy. With a marriage and a career painfully behind her, Tara Kendall is determined to start over in Parable. Reinventing herself and living a girlhood dream are worth the hard work. Sure, she might need help from her handsome, wary neighbor. 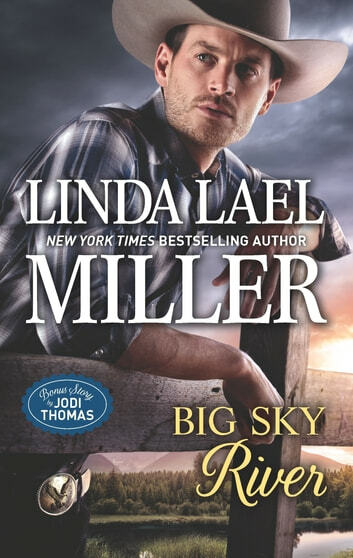 But life along Big Sky River is full of surprises…like falling for a cowboy-lawman who just might start to believe in second chances. Maria Davis longs for adventure but doubts she’ll ever find it in her small Texas town. That is, until she meets quiet shop owner Wes Whitman. Wes is drawn to fierce, beautiful Maria, but how could a firecracker like her care for a shy man like him? Maybe all they need is a grand affair—just in time for Christmas.